BOB DYLAN-THE BEST OF THE CUTTING EDGE 1965-1966: THE BOOTLEG SERIES. Most artists never come close to releasing a classic album. Those that do, become part of musical history. For some though, releasing a classic album is often a burden. They spend the rest of their life trying to reach the same heights. Constantly, they struggle to recapture the magic of their Magnus Opus. It’s that one album is what they’ll forever be remembered for. It doesn’t matter that they go on to release another twenty albums. Not at all. These albums are always compared to that one moment of musical genius. However, for a very few artists, a classic album isn’t a one-off. The Beatles, The Rolling Sones, Van Morrison, Miles Davis, John Coltrane, Kraftwerk and The Velvet Velvet Underground released at least two classic albums. In The Beatles case, they released two consecutive classics, Rubber Soul in 1965 and Revolver in 1966. That however, almost pales into significance compared to what Bob Dylan did. Between 1965 and 1966, Bob Dylan released a trio of classic albums. This started with Bringing It All Back on March 22nd 1965. Just over five months later, Bob Dylan returned with Highway 61 Revisited on August 30th 1965. This became Bob Dylan’s second consecutive classic. Two became three when Bob Dylan released Blonde On Blonde on May 16th 1966. By then, Bob Dylan was one of the most successful and celebrated musicians of the mid-sixties. He was a musical chameleon, the folk singer who had plugged in, and divided music. Even today, critics and cultural commentators still debate what Bob Dylan’s eschewing his folk stylings and plugging in. This debate started again, when The Best Of The Cutting Edge 1965-1966: The Bootleg Series Volume 12 was released by Sony Music. It’s a two disc set that features thirty-six unreleased tracks recorded between 1965 and 1966. These tracks show how some of the songs on Bringing It All Back, Highway 61 Revisited and Blonde On Blonde took shape. It’s a fascinating insight to three classic albums. The first, Bringing It All Back was released on March 22nd 1965. 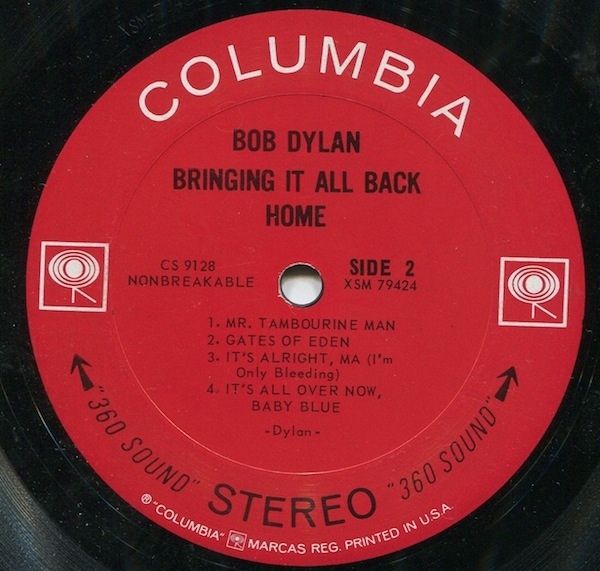 The first of Bob Dylan’s triumvirate of classics was Bringing It All Back Home. By then, Bob Dylan had changed. Many traced this back to when he met The Beatles in 1964. That was when Bob Dylan was alleged to have introduced the Fab Four to Mary Jane. Some critics wondered wether Bob Dylan was “indulging”? Around the time Bob Dylan met The Beatles, his lyrics were akin to a stream of consciousness. They had a dreamlike, surreal quality. This would become apparent when Bob Dylan entered the studio to record Bringing It All Back. Recording at Columbia Recording Studios, New York City between January 13th and 15th 1965. That’s when Bob Dylan recorded the ultimate album of two sides. For what became side one of Bringing It All Back, Bob Dylan plugged in, and played with a rock ’n’ roll band. Producer Tom Wilson watched as Bob Dylan and his band showed another side to their music. They worked their way through seven songs, including Subterranean Homesick Blues, Maggie’s Farm and Love Minus Zero/No Limit. Little did Bob Dylan that by plugging in his guitar, he would divide his audience. Then on side two of Bringing It All Back, Bob Dylan packed away his electric guitar away on side two. Out came his trusty acoustic guitar, and Bob Dylan the folk singer returned. Two of the highlights of side two were two future classics Mr. Tambourine Man and It’s All Over Now, Baby Blue. None of these songs were recorded in one take. Far from it. Often, numerous takes were required during the Bringing It All Back sessions. That’s apparent on The Best Of The Cutting Edge 1965-1966: The Bootleg Series, Volume 12. They feature six alternate takes. 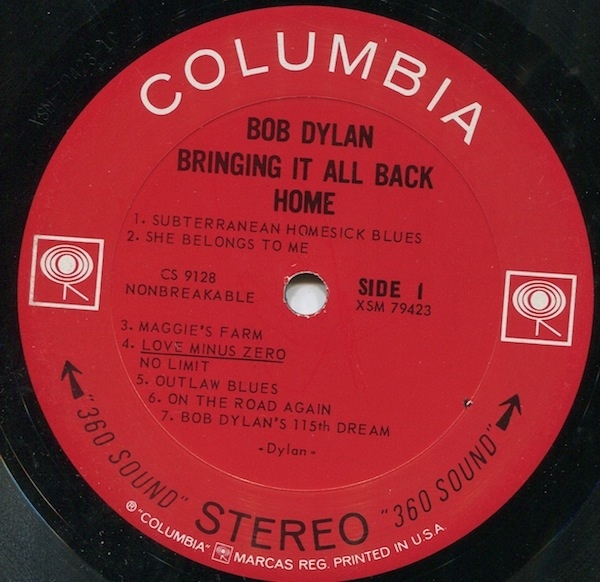 This includes versions of Subterranean Homesick Blues (Take 1), Outlaw Blues (Take 2,) and On The Road Again (Take 4). On each of these “electric” tracks, Bob Dylan plugs in. Not on Love Minus Zero / No Limit (Take 2, Acoustic) and Bob Dylan’s 115th Dream (Take 2, Solo Acoustic). Both versions feature a much more stripped back, acoustic sound. Then on Mr. Tambourine Man (Take 3, With Band, Incomplete), which was meant for side two, the band fluff their lines. However, just like each and every track, gradually, this classic album is honed by Bob Dylan, his band and producer Tom Wilson. By 15th January 1965, Bringing It All Back was compete. Bringing It All Back was released on 22nd March 1965 to almost overwhelming critical acclaim. Critics were won over by Bob Dylan’s dreamlike lyrics. They may have sounded like a stream of consciousness to some, but Bob Dylan was just as incisive as ever. 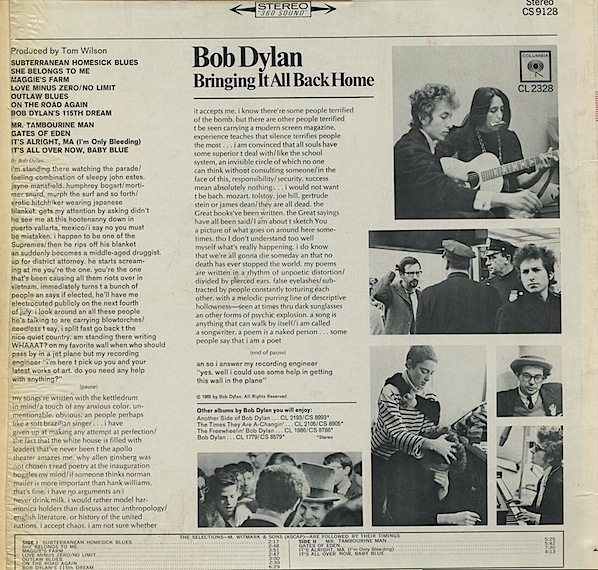 The album featured stonewall classics like Subterranean Homesick Blues and Mr. Tambourine Man. Then there’s tales of betrayal and heartfelt paeans. Bob Dylan calls a former lover a “witchy woman” on She Belongs To Me. By contrast, Love Minus Zero/No Limit was a paean to his future wife. Other songs were much more straightforward. Maggie’s Farm was straightforward blues; while On The Road Again has been inspired by Jack Kerouac’s classic road novel On The Road. However, Bob Dylan’s delivers a sideswipe at hypocrisy, rampant commercialism and those he sees as war mongers on It’s Alright, Ma (I’m Only Bleeding). It was Bob Dylan at his incisive best, as metamorphosed, from folk singer to rock singer. This didn’t please everyone. Side one of Bringing It All Back alienated parts of Bob Dylan’s audience. They turned their back on the man they saw as a poet and prophet. However, a new audience embraced Bringing It All Back, and it reached number three in the US Billboard 200, and number one in Britain. Bringing It All Back was certified gold in Britain and platinum in America. That wasn’t the end of the success for Bob Dylan. Three singles were released from Bringing It All Back. Maggie’s Farm was released on 8th March 1965, and reached number twenty-two in Britain. Then Subterranean Homesick Blues was released in June 1965, reaching number thirty-nine in the US Billboard 100, and number nine in Britain. Only Gates Of Eden, which was released in July 1965, failed to chart. However, that hardly seemed to matter, as Bob Dylan had released a million selling, classic album. Soon, one would become two. By the time Gates of Eden, the final single from Bringing It All Back was released, Bob Dylan was almost finished recording his next album, Highway 61 Revisited. He had been locked away in Columbia Studio, New York, between June 15th and August 4th 1965. During that period, Bob Dylan and his band recorded nine songs with producer Bob Johnston and Tom Wilson who produced Like A Rolling Stone. Just like on Bringing It All Back, Bob Dylan had penned tracks that would become not just classics, but features of his live sets. Among them, were Like A Rolling Stone, Tombstone Blues, Ballad Of A Thin Man, Just Like Tom Thumb’s Blues and Desolation Row. These songs came to life with the help of Bob Dylan’s backing band, The Hawks. Their illustrious lineup included guitarist Mike Bloomfield and organist Al Kooper. They helped Bob Dylan combine blues, folk and rock, with lyrics that can only be described as poetic on ten tracks. The exception was Desolation Row, an eleven minute epic. It was part of an album that was heralded as revolutionary. However, it wasn’t all plain sailing. Similar to Bringing It All Back, some of the tracks took longer to nail. This is apparent on The Best Of The Cutting Edge 1965-1966: The Bootleg Series, Volume 12. There’s a piano demo of Desolation Row. Then from the rehearsals there’s Like A Rolling Stone (Take 5, Rehearsal). Among the alternate takes are Like A Rolling Stone (Take 11, Alternate Take), Desolation Row (Take 1), Tombstone Blues (Take 1), Highway 61 Revisited (Take 3 and Take 7, False Start), It Takes a Lot to Laugh, It Takes a Train to Cry (Take 8) and Queen Jane Approximately (Take 5,). These tracks are a fascinating insight to what would become a classic album. Often, the tracks are work in progress, and very different to what they became. What they eventually became part of, is Bob Dylan’s second consecutive classic album. 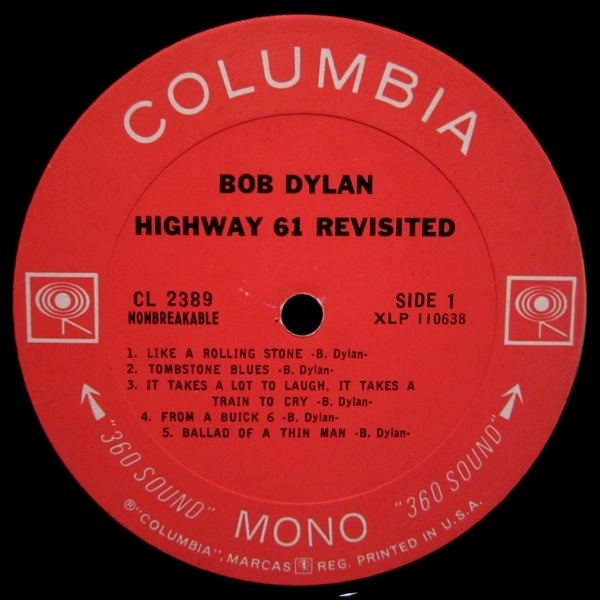 On its release, on August 30th 1965, reviews of Highway 61 Revisited were mixed. The worst were favourable, while the most supportive, heralded Highway 61 Revisited as a revolutionary album. Bob Dylan had completed his transformation from folk to rock singer. However, he hadn’t forgotten his folk roots, and flitted between blues, folk and rock. All the time, Bob Dylan his poetic lyrics in his own inimitable style. 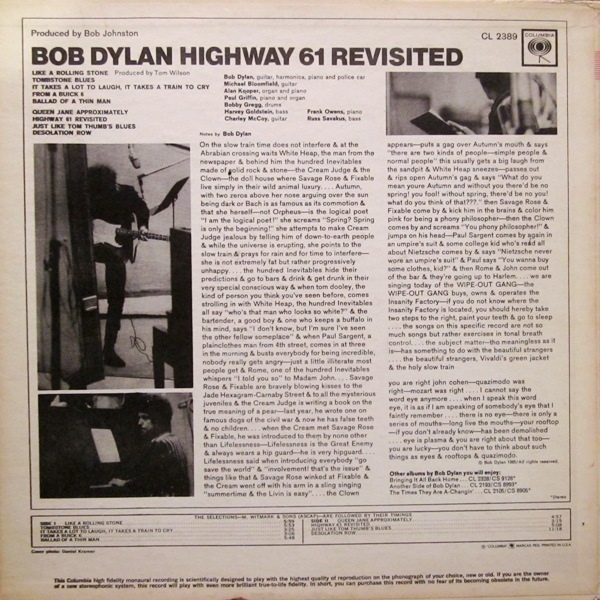 For some critics, Highway 61 Revisited was a slow burner, and the more they listened to the album, the more arresting and caotivatibg it become. Even the doubters were willing to admit later, that Bob Dylan had released another classic album. 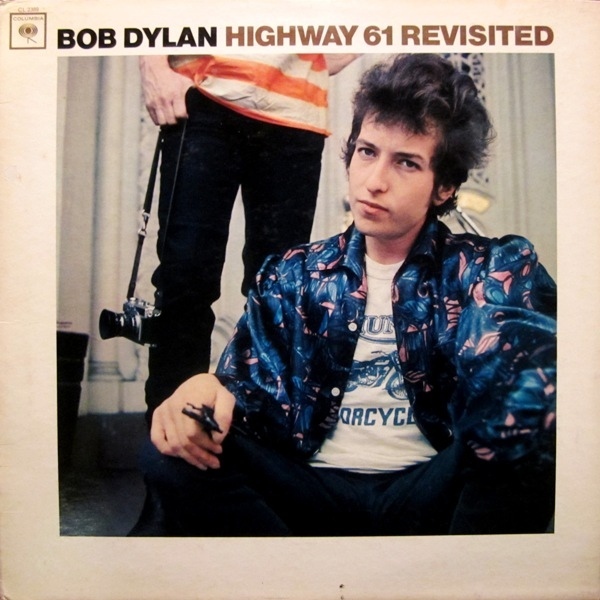 Before the release of Highway 61 Revisited, Bob Dylan released Like A Rolling Stone in July 20th 1965. It reached number two in the US Billboard 100 and number four in Britain. When From A Buick 6 was then released on September 7th 1965, it failed to chart. 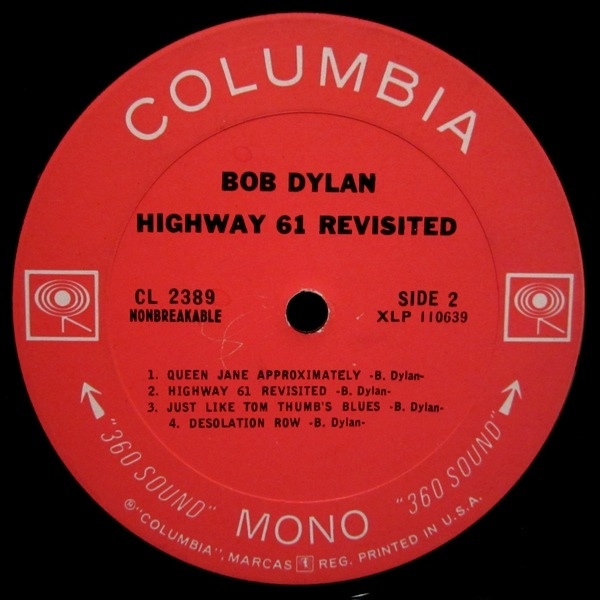 So did Highway 61 Revisited, which was released on December 21st 1965. By then, Highway 61 Revisited was well on the way to selling a million copies in America. Highway 61 Revisited reached number three in the US Billboard 200 and number four in Britain. 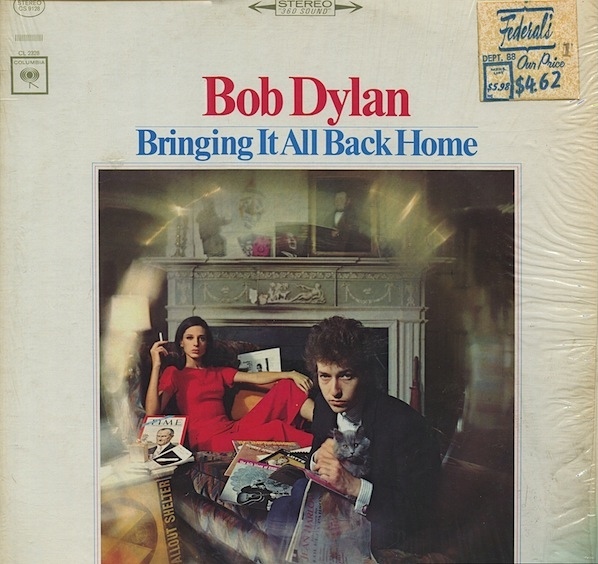 This resulted in another platinum disc for Bob Dylan in America, plus gold discs in Britain and Canada. Bob Dylan must have thought things couldn’t get much better. They did. Two became three. Despite releasing two million selling albums during 1965, Bob Dylan wasn’t content to take things easy. He embarked upon a gruelling tour to promote Highway 61 Revisited, and began work on what what became Blonde On Blonde. Never before had Bob Dylan released a double album. 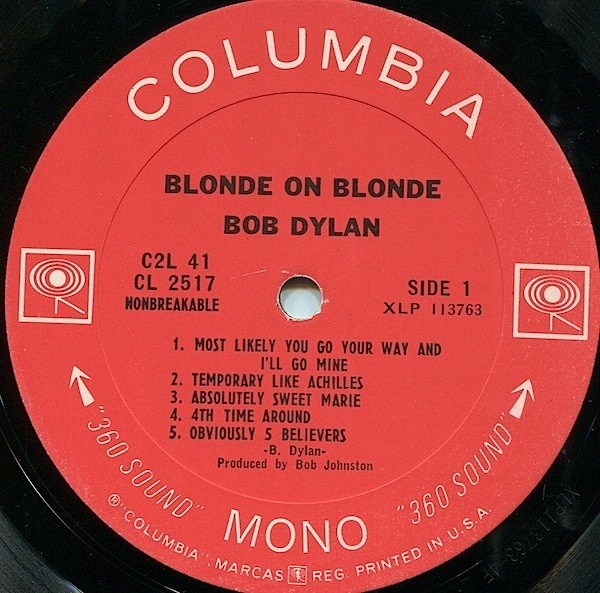 Blonde On Blonde was a first. Bob Dylan prepared to record sixteen new tracks with his live band The Hawks. These sixteen tracks would take-up four sides of vinyl. However, recording of Blonde On Blonde wouldn’t take place during one session. Instead, Bob Dylan recorded whenever and wherever he could. The first recordings session took place with producer Bob Johnston on October 5, 1965 at Columbia Studios, New York. Bob Dylan returned on November 30th 1965 and January 25th 1966. Then between February 14th and 17th, Bob Dylan made his way to Columbia Studio B, Nashville, Tennessee. That’s where he returned for the final session. It took place between March 8th and 10th 1966. At last, Bob Dylan’s seventh studio album, Blonde On Blonde, and first double album was complete. The Blonde On Blonde sessions yielded a plethora of outtakes. 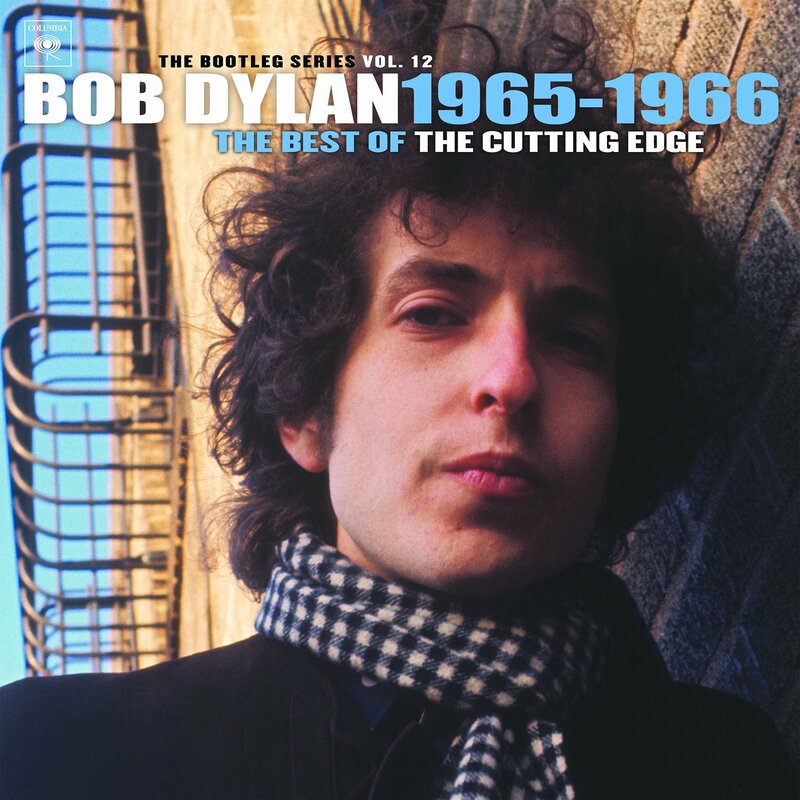 They feature on The Best Of The Cutting Edge 1965-1966: The Bootleg Series, Volume 12. This includes a piano demo of I’ll Keep It With Mine (Take 1) and an early version of Temporary Like Achilles (Take 1). There’’s also rehearsals of Just Like Tom Thumb’s Blues (Take 3), Visions Of Johanna (Take 5) and She’s Your Lover Now (Take 6). Then Bob Dylan headed to the studio. 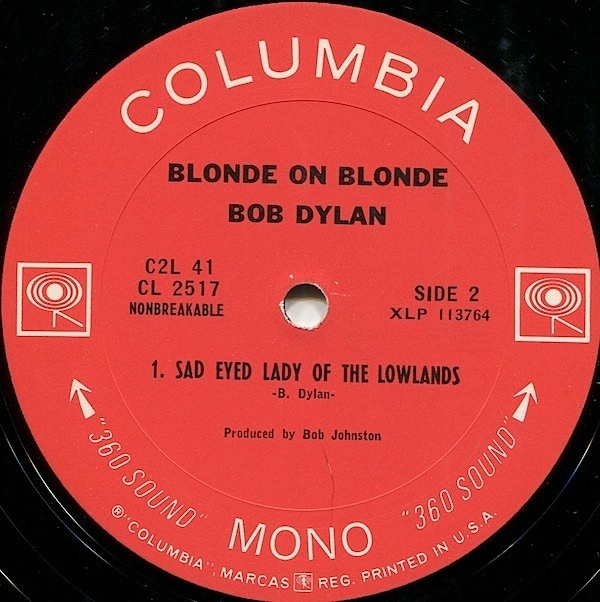 In New York and Nashville, Bob Dylan began to record Blonde On Blonde. He tried acoustic versions of Farewell, Angelina (Take 1) and a solo acoustic version of You Don’t Have To Do That (Take 1). Then the band join Bob on alternate takes of Pledging My Time (Take 1), One Of Us Must Know (Sooner Or Later) (Take 19), I Want You (Take 4), Stuck Inside Of Mobile With The Memphis Blues Again (Take 13), Leopard-Skin Pill-Box Hat (Take 8), Just Like A Woman (Take 4) and Absolutely Sweet Marie (Take 1). With Blonde On Blonde completed, the album was scheduled for release on 16th May 1966. Before that, One of Us Must Know (Sooner or Later) was released as a single on 14th February 1966. Incredibly, the single failed to chart in America, and only reached number thirty-three in Britain. Then Rainy Day Women ♯12 and 35 was was chosen as the second single, and released in April 1966. It reached number two in the US Billboard 100 and number seven in Britain, and would become a Bob Dylan classic. So would Blonde On Blonde. Straight away, many critics realised the importance of Blonde On Blonde. Most reviews were favourable. A few critics realised this was one of the best albums of Bob Dylan’s career. Some went as far as to say it was a career defining album. They wondered whether Bob Dylan had come of age on what was, the second chapter of his chameleon-like career. Folk-rock, blues and rock combined with a hint of country shawn through on Blonde On Blonde. 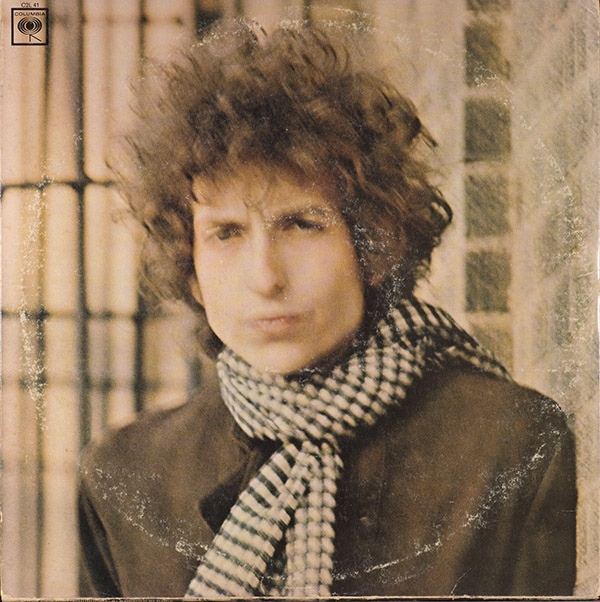 Poetic and cinematic, and rich with imagery and emotion, it was no surprise that Blonde On Blonde proved so popular. When May 16th 1966 came round, Blonde On Blonde became one of Bob Dylan’s biggest selling albums. 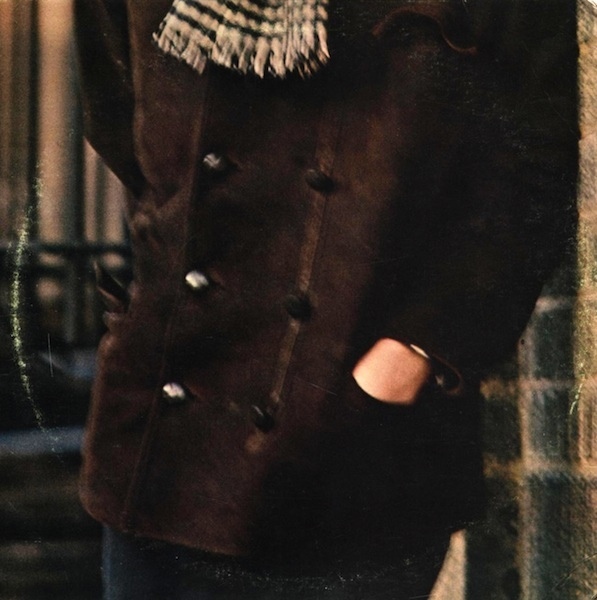 Blonde On Blonde reached number nine on the US Billboard 200, and number three in Britain. This resulted in Blonde On Blonde being certified double-platinum in America, and platinum in Britain. By then, another three singles had been released from Blonde On Blonde. 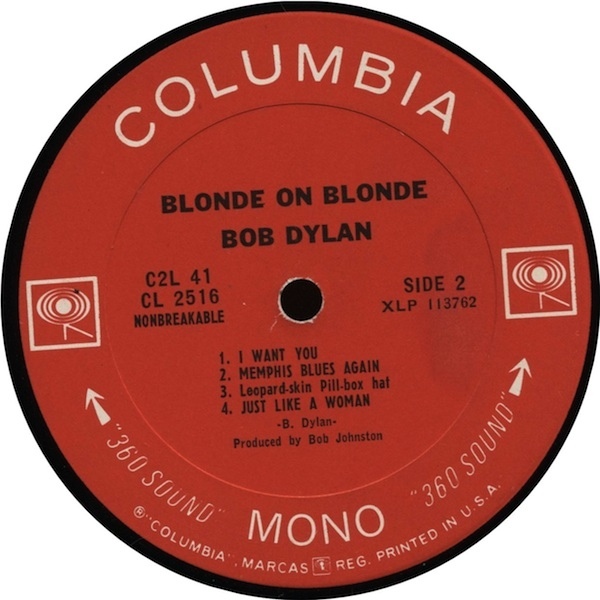 The third single from Blonde On Blonde was I Want You, which was released in June 1966. It reached number twenty in the US Billboard 100 and number sixteen in Britain. Just Like A Woman was released in September 1966, and reached just thirty-three in the US Billboard 100. Leopard-Skin Pill-Box Hat, the almost surreal sounding electric blues was released in April 1967, but reached just eighty-one in the US Billboard 100. While the singles hadn’t sold in the same quantities as Blonde On Blonde, Blonde On Blonde became Bob Dylan’s third consecutive classic. 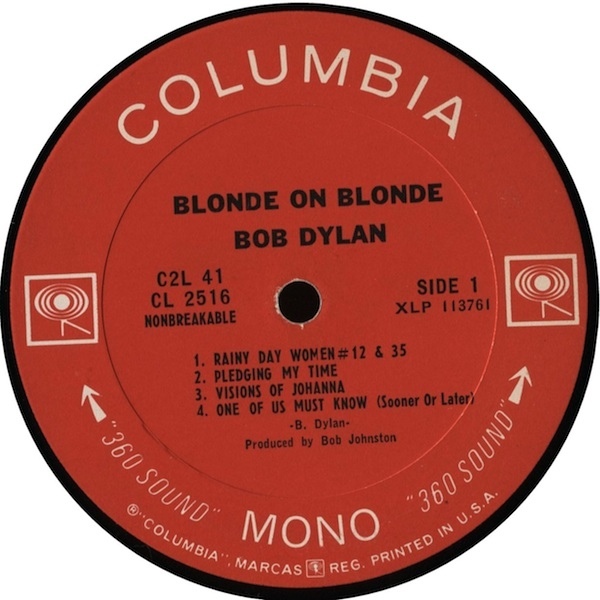 From Bringing It All Back through Highway 61 Revisited to Blonde On Blonde, Bob Dylan could do no wrong. He sold over four million albums in America alone. This triumvirate of classic albums featured a plethora of classics songs. Bob Dylan was enjoying one of the most prolific period of his career. Among the songs he penned during this period were Subterranean Homesick Blues, Mr. Tambourine Man, Like A Rolling Stone, Rainy Day Women ♯12 and 35, Leopard-Skin Pill-Box Hat and Just Like A Woman. They’re just a few of the song Bob Dylan recorded between 1965 and 1966. Each of these songs are almost imprinted on many music fan’s consciousness. They know every subtly and nuance of these classics. However, on The Best Of The Cutting Edge 1965-1966: The Bootleg Series Volume 12, which was released by Sony Music, these songs sound very different. The thirty-six songs on The Best Of The Cutting Edge 1965-1966: The Bootleg Series Volume 12 are work in progress. Bob Dylan and his band are in the process of ironing out the kinks. They begin to take shape. That’s apparent when there’s two different versions of the song. It’s case of compare and contrast, then doing the same with the finished version. Often, it’s hard to work out how the song on The Best Of The Cutting Edge 1965-1966: The Bootleg Series Volume 12 became that familiar song on Bob Dylan’s trio of mid-sixties classic. This makes The Best Of The Cutting Edge 1965-1966: The Bootleg Series Volume 12 a captivating album. Bob Dylan has been releasing the Bootleg Series since 1991. They celebrate their twenty-fifth anniversary this year. Four of the twelve instalments have been certified gold in America; while three have been certified silver in Britain. 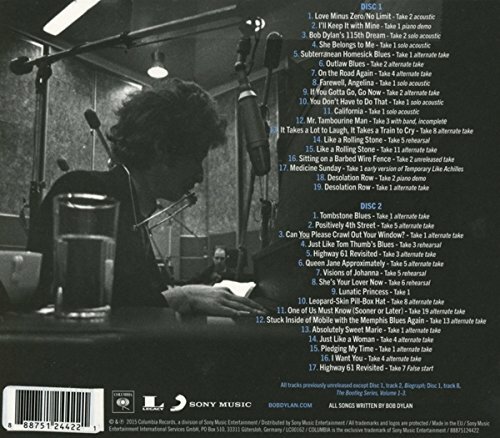 The Bootleg Series is an extremely popular series. So far The Best Of The Cutting Edge 1965-1966: The Bootleg Series Volume 12 has reached number thirty-three in the US Billboard 200, and number twelve in Britain. That’s not surprising. The Best Of The Cutting Edge 1965-1966: The Bootleg Series Volume 1 is a lovingly compiled and curated series, which is like eavesdropping in musical history being made. ← PHALL FATALE-MOONLIT BANG BANG.